A series by Antimo Cimino founder of VoomaGo, an experiential travel company focusing on authentic off-the-beaten-path journeys in Italy. One thing is for sure, technology has brought people closer together and made the world into a small place, however I still ask: How much do we truly know about other cultures around the world? Travel is still for the most part a vacation, an escape from the routine but it can be all of that and much more. Travel shouldn’t be limited to just iconic places, monuments, and touristy cities. Take for instance experiential travel, a great way to unplug, go on a well deserved vacation while letting travel be a teacher. 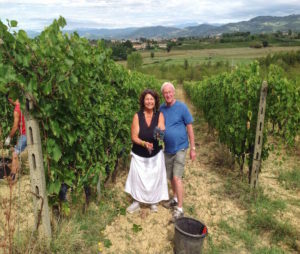 Imagine following your love for wine and shadow a winemaker or two while they go about their daily life in Italy. A sensorial, educative experience rich with encounters, knowledge, great food, amazing wine, conversations and insights into the lives of locals that cannot be gained or found back at home. Travel abroad is not always easy, especially when you try to adventure beyond the touristy circuit. Authentic travel experiences are engaging, enriching, fun, unique, educative, but they are not easy to plan and arrange. 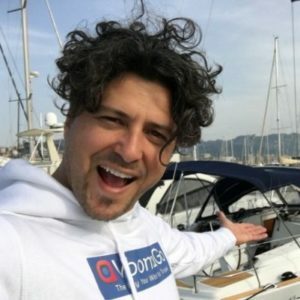 This is why I left the corporate world behind to follow my passion and introduce travelers to a new and more rewarding way to experience the world. The term “enogastronomic”, simply means food and wine tourism. For the past few years my region, Puglia, the heel of the Italian boot has been and, continues to be the most popular tourist destination, thanks to its warm weather, incredible beaches, ancient history, seductive sea views, thousands of acres of grapes and majestic olive trees, but above all for the warmth of it people. Puglia is well renowned for its incredible wines and Mediterranean cuisine offering daily fresh caught fish from the unspoiled Ionic and Adriatic sea; fresh vegetables and fruit ripened on the plant; a variety of handmade pastas and cheeses; a truly enograstronomic paradise for wine lovers. Puglia is the ultimate Italian travel destination and you may think of it as the new Tuscany. I might be a bit bias since this is where I was born, but I kid you not, your visit here will be one of the best travel experiences of your lifetime. 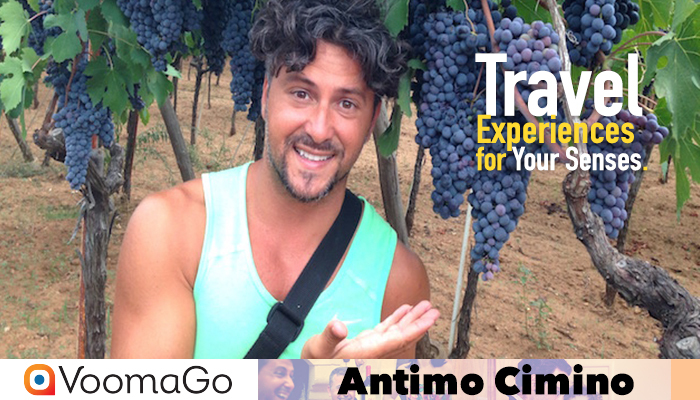 If you are interested in exploring Puglia’s native grapes you are in for a trip and an incredibly enjoyable trip. There’s nothing more exciting than following a couple of local winemakers around and learn from their passion and tradition. The impact of choosing to immerse yourself with locals and their lifestyle while you are on vacation is simply incredible and very rewarding. Imagine gaining first hand information, skills, techniques, and insights about local grapes and varieties. For instance, the red grapes that are gaining increased global notoriety in Puglia are: Primitivo Di Manduria, Nero di Troia grown around the province of Bari, and Negroamaro grown in the Salento region. However there are a few other varieties, Bombino Nero, Malvasia Nera, San Giovese, and Aglianico. While the weather in Puglia could seem too hot for white grapes, one can still find some very fine whites such as Fiano and Verdeca. 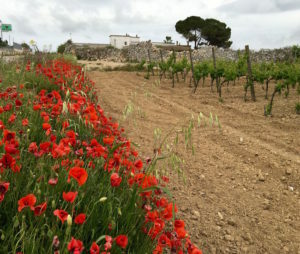 The quality of the soil and the microclimates of Puglia are two very unique factors that are critical for a grape like Primitivo. In fact, there are only two true regions where Primitivo thrives, the hills around Gioa del Colle and the flat land near the Ionic sea by the town of Manduria (My birth place and where my family lives). 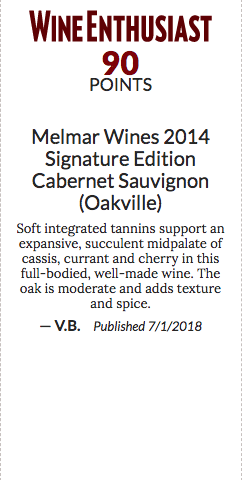 The ripe cherry & blackberry taste and the deep ruby red color of the Primitivo di Manduria are underpinned by a balanced acidity and minerality that comes from the rich soil containing limestone. 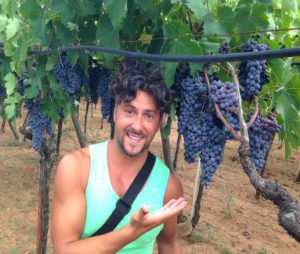 What is still very unique about the cultivation of the Primitivo grapes is the variety of vines: the traditional ad alberello, or like a bush (often 70-80 years old); the spangliera, or espalier, and tendone, or pergola. 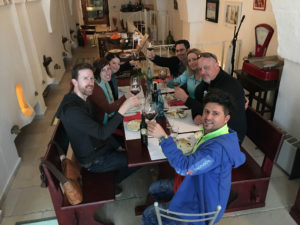 I hope this introduction to Puglia has got your attention and that you will allow Travel to be a teacher next time you consider a trip abroad. There is nothing more ideal than taking a trip that merges your love for Wine + Food + Travel! To learn more about this amazing journey and to find out what 2017 upcoming trips Antimo has in place click on the link below.